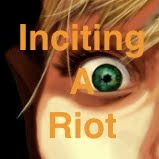 Episode 14 of Inciting A Riot: the Podcast. Oh yes, I'm talking about the topic of being a gay pagan today. 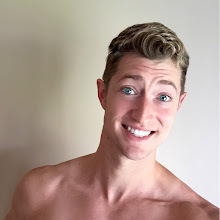 You've all been asking the questions, and today I'm providing some answers about those funny gay folks and how they fit into a fertility religion that seems obsessed with penises, vaginas, and how one fits into the other. The word of the day is noetic. The news articles have to do with gay marriage becoming legalized in Mexico and Portugal, as well as the ongoing issue of Prop 8 and gay marriage in California. Donate to the Haiti Relief Fund by calling 1 800 REDCROSS or by texting Haiti to 90999 - which will donate $10 to the Redcross for relief efforts in Haiti. PS Rioters, during editing the beginning of a couple of words got cut off. I hope you don't hate me. Podcasting is a learning experience! Hey its ok that you got cut off in a few words. I am going to learn the ways of podcasting in a bit. My boy friend Rick and I are going to start a podcast at NAU called Mountainside Pagans..I really have no idea what I am doing so far but I shall figure it out. I am looking forward to listening to ur podcast as always!